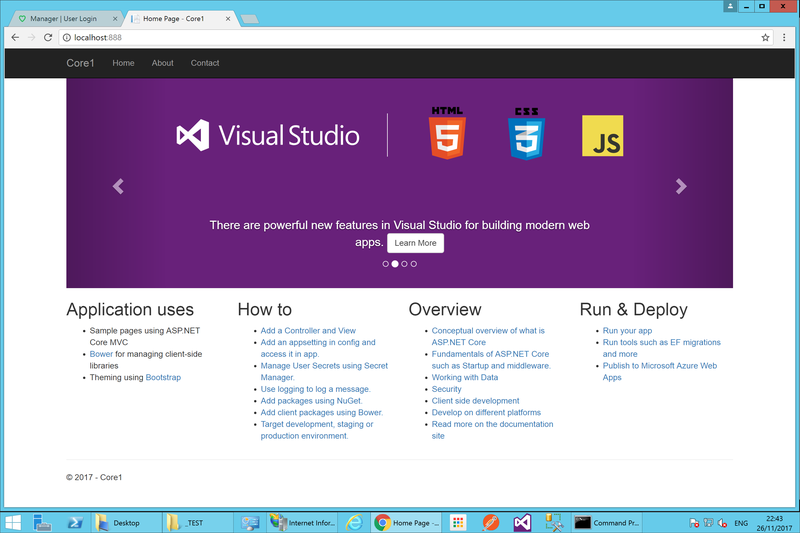 As asp.net core application need to be setup as a web site (rather than an application within a web site) each application is setup as a web site, meaning both have their own port. This is fine, except only one can be setup with port 443. 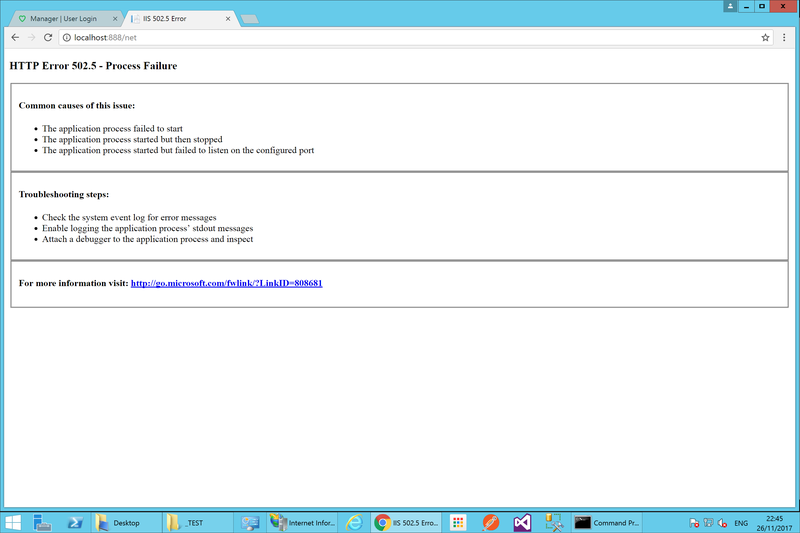 I want both to be accessible under 443, so I want to setup the .net framework application as an app under the .net core website (you'd normally setup .net framework apps under default website for example). HTTP Error 502.5 - Process Failure - The application process failed to start. Has anyone achieved this or know what I'm doing wrong? Thanks for tips in advance! Failed to start process with commandline '"dotnet" .\Core1.dll', ErrorCode = '0x80004005'. Browse other questions tagged iis asp.net website .net-4.0 dotnet-framework or ask your own question. 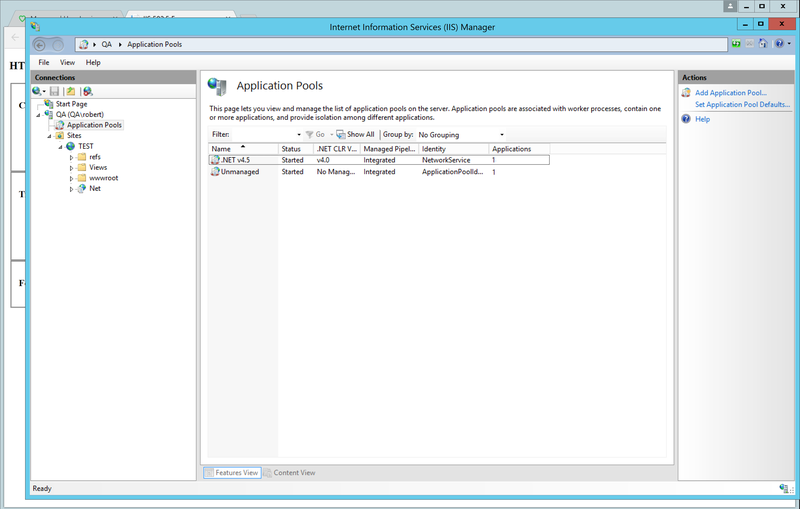 Can I run .NET4 applications within a .NET3.5 website? Why application root “~” resolves to site root “/” in ASP.NET? 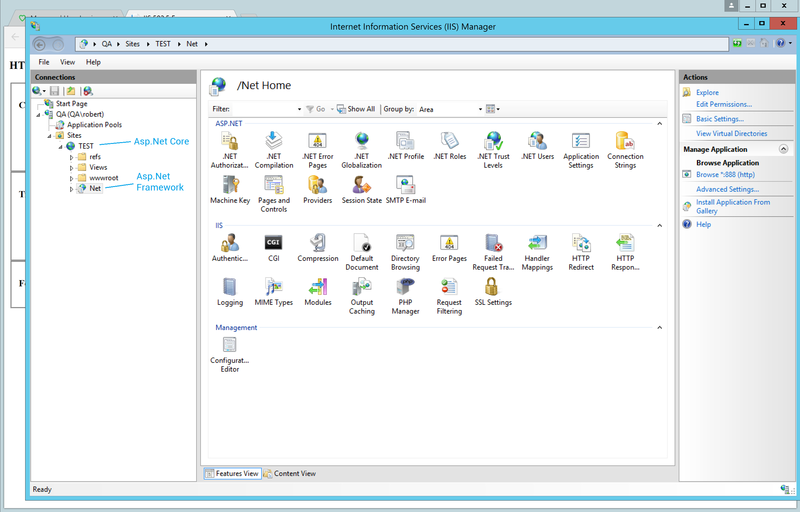 Why isn't IIS on Windows Server 2012 able to access system environment variables?